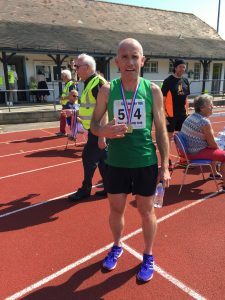 Paul is a member of Colchester Harriers AC, and regularly races around the local circuit or runs with others in races to improve their race times. Paul is married to Jess and they have four young children at home. After turning 45 in January he has shown that age is no barrier by setting his fastest half marathon time for 10 years at Great Bentley. He has been running since the age of 10, and still has good strong knees amazingly! Most recently known for involvement in Langham 10km each September. 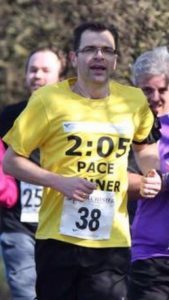 Paul will be your 40 minutes Pacer at Colchester 10km, and will expect all his group to sprint past him and around that track at the end! Charlie has been running since he was a teenager, but only got around to joining a running club in 2012 when he decided to see what would happen if he trained properly and didn’t spend all weekend drinking. 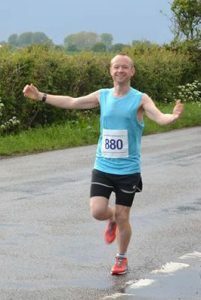 He is a proud a member of Great Bentley Running Club and set his Marathon PB of 3:15:03 at Manchester Marathon last year. His fastest 10k time is 39:16 and you may see him at other events this year desperately trying to break 39 minutes. Charlie is married to Becky and they have two sons, Rufus and Cassius. Charlie is your 45 minute pacer, He still likes the occasional drink. Lee likes maths and running so pacing makes him a very happy chap. Has paced CHM twice and several times at parkrun. 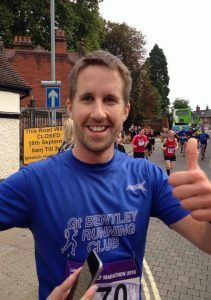 He joined Gt Bentley Running Club in 2014 and enjoys the camaraderie and cake. Richard started running in 2007, and became a member of Tiptree Road Runners towards the end of 2010 (he can usually be found wearing Tiptree colours with pride at all events!). Richard broke his right leg (snapped tibia) at the Great Bentley Half Marathon in 2011, and returned to running after several operations and 2 years recovery at the same event in 2013. 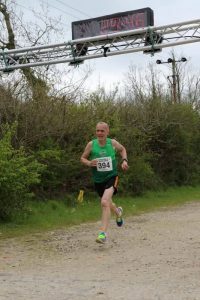 He runs with metalwork in his leg (which does mean carefully managing his running), and has recently achieved new PBs for Half-Marathon, 15 mile and 20 mile events. Richard was a member of the pacing team for the Colchester Half Marathon in both 2016 and 2017, and loves the different challenges that pacing brings to his running ñ it is the only time he is happy to be overtaken and see others finish in front of him! Richard is a family man, married with two teenage sons, and would run every day if his legs and working life would let him! It started with Lee Clarkson in Dec 2013 who told me if I could run 10k, then I could definitely run a half marathon. My problem is I can never resist a challenge and in March 2014 I ran my first half in Colchester. After throwing away those trainers on the finish line declaring never again, I followed up with the London marathon in 2015 and after Colchester half in 2016 Dave Wignall asked me to help him create a Facebook group for people who like running, in Colchester – so that’s how I became a runner. 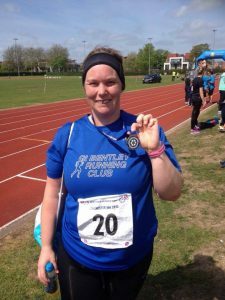 – Join Running Colchester group. Chusa likes to combine running with holidays and achieved a good for age place for London marathon at the midnight sun marathon in Tromsø fuelled by wine and pasta. Joined Gt Bentley Running Club in 2014 and as a result learnt to bake. In November 2013 Dave weighed 17st and collapsed at work, knees locking so much pain, followed up with numerous hospital appointments and a fear of never being able to walk properly again. 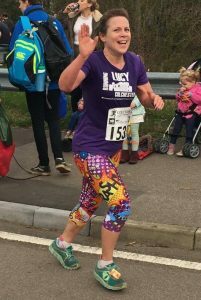 Linzi is our tail runner and is full of enthusiasm and encouragement for those who might possibly struggle at the rear of the pack. 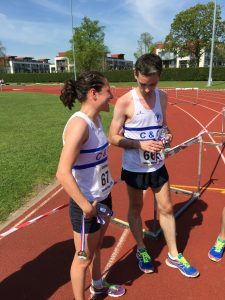 Linzi sums up the tru spirit of athletics and will stay with you until the end. 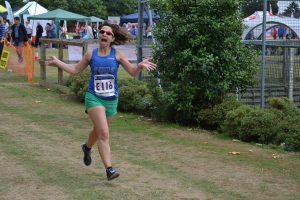 We would like to thank Lucy and her Running Colchester Facebook Group for providing the pacers for our event. We have trialled a Race Transfer process for 2017 which has proved successful for those who missed out on the original entry. We have processed about 40 requests since closing the event and have lots of happy runners as a result. We have been advised that the process will be built into our software system in readiness for 2018. This weekend saw the eighth annual Colchester 10k with the largest field ever with over 606 registered runners and many first time entrants. After last year’s perfect running conditions this year saw glorious sunshine and soaring temperatures peaking at 25c, great for the spectators basking in the sun, but proved to be heavy going for most of the competitors. Water station were a welcome sight for the athletes along the route manned by our Marshalls with help from the Girl Guides and Scouts. Traffic chaos on the A12 didn’t help with some competitors arriving too late to start and our finish line nearly not arriving in time to be erected. Luckily the Gods were shining on us as well as the sun. We would like to thank the MOD for continuing to allow us to use the Garrison Athletic Club and giving permission for the Drone to fly over their property as well as our Official Starter John Hyland and Adjudicator Diana Lee who have been with us since the start. The course is a circular flat route, mainly run on cycle paths and tracks around the South part of Colchester, with a the final 2km around Abbey Field culminating in a final lap around Colchester Garrison Running Club track. This produced some spectacular sprint finishes in front of the cheering crowds. Leading from the gun was last year’s winner Adrian Musset of Colchester Harriers in a time of 32:31 followed closely by Ramadan Osman of Colchester & Tendring AC (33:51) and Kevin O’Holleran of Cambridge & Coleridge AC (34:51). Georgina Schwiening of Cambridge & Coleridge AC was the first female runner home (5th overall) in a time of 36:19 followed by last year’s winner Sarah Stradling (36:59) and Anna Whitfield (38:32). 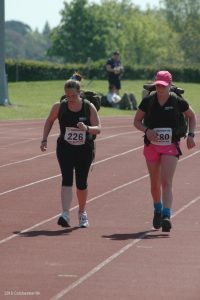 We had lots of first time timers and a couple of female runners (Charlie Hastings & Hannah Johns) who ran the course with a 40lb Bergan backpack – a true feat in Sunday’s heat. The Army supported as well with 13 entries from the various local regiments some running with full Bergan’s and we appreciate their support. There were a number of worthy charities being supported by the runners, including Headway, Addenbrooks, COHOC and St. Helena Hospice to name a few. This is in addition to the charities being supported by the race organisers – Rotary Club of Colchester Trinity. Next years event is scheduled for Sunday 14th May 2017 at 10:30 and is open for registration now. Entries this year have been fantastic and have exceeded our expectations. Now, with just over 700 registered runners we have the largest field ever and are looking forward to a fabulous day of racing on Sunday. The weather looks to be sunny and warm so we have provided additional water to help with the heat. Water will also be available at the finish line. 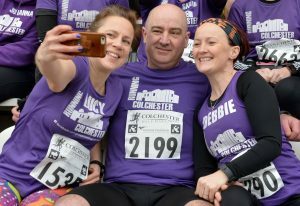 Now in it’s seventh year Colchester 10k has grown from strength to strength and is looking at its largest field ever. With entries now capped at 550 we have been oversubscribed and have had to turn people away which is always a hard thing to do. For 2016 we will increase our UK Athletics Licence to cover larger numbers, should this be necessary, though we wish to keep the race to a manageable level and not lose the friendly atmosphere that we believe it generates. We have nearly 150 Club Runners and 400 non affiliated runners and our thanks go out to all the local clubs that have supported our race and it looks as though there will be a great race to the finish line in all categories. Unfortunately we can no longer accept on the day race entries due to the constraints placed upon us by the Chip Timers who require runner information in good time before the event. Standard online entries will close on Friday 8th May 2015 at 19:30. However we will be able to accept late online entries up until 08:30 Sunday morning for those who are “fair weather runners”. These will be at a significant premium to those who have registered before 8th May so we would advise you to enter early. It is all change for Colchester 10k in 2015. Gone is the old website which has served us well over the past 7 years and in is our new website which should enable us to keep you up to date with information about the race. Also new in 2015 is online registration with our partners at Primo Solutions which should allow the event to run more smoothly and also allow us to communicate information quickly and easily. It also allows us to take online payments using Paypal or Credit cards which will should make is easier for you to enter.